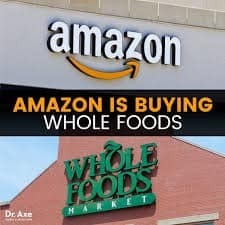 Amazon Buying Whole Foods, Now What? How to Compete with Amazon? Rosie tells us how! Before Amazon’s monster move into the brick-and-mortar world of grocery shopping, Rosie, an online grocery shopping platform for mobile and web, has been quietly but successfully building an online platform that is helping America’s smaller regional grocery store chains reach more customers through e-Commerce. At InStore, we are proud to offer home shopping e-Commerce solutions that we feel are ideal for our independent grocers to build a competitive advantage in their marketplace. e-Commerce: It offers the ability for customers to place orders online with their local community supermarket. Each order is picked and prepared by trained personal shopping professionals and service is backed 100% by the store. Delivery logistics, address validation, and route optimization: Rosie provides best practices, storage materials, delivery materials, and everything the store needs to bring products to the customer’s door. Delivery is done by store employees or outsourced to a third-party. Omni-channel marketing support: The transition to offering digital grocery shopping also means increasing digital marketing efforts. Rosie makes it easy to take advantage of best practices in digital marketing, so you can find new customers and grow market share. Data analytics: Rosie collects consumer data and makes that data available to the stores through dashboards and reports, so you can make better decisions for their in-store and online business. This maybe an ideal option for you in response to Amazon’s purchase of Whole Foods. Customers can get the same service as Amazon Groceries but from their local, community family owned Supermarket, thus enabling fast, easy access to fresh, local foods, which strengthens customer loyalty and improves food access and security. Read more about the big move in this article.